The Hollywood Beach Civic Association (HBCA) has been closely following the issues related to the Airport South Ramp towards Hollywood. We have attended City and County meetings as well as town halls and presentations from the authorities involved in this matter. The present solution will take arriving visitors to Hollywood Beach via NE 7th Ave., NE 10 St. and ending at Griffin Rd. and US 1. We believe, at the very minimum, that proper lighting, professional landscaping, clear signage and continuing monitoring of traffic flow must be an integral and essential part of this solution. This should somewhat ease the negative impact that arriving by back road will have on passengers. Mayor Bober’s recent letter to the Broward County Aviation Department covering key issues is attached. Your comments will be greatly appreciated . Frank De Risi, Hollywood Beach Civic Association. Dear All (1752 HBCA Recipients). 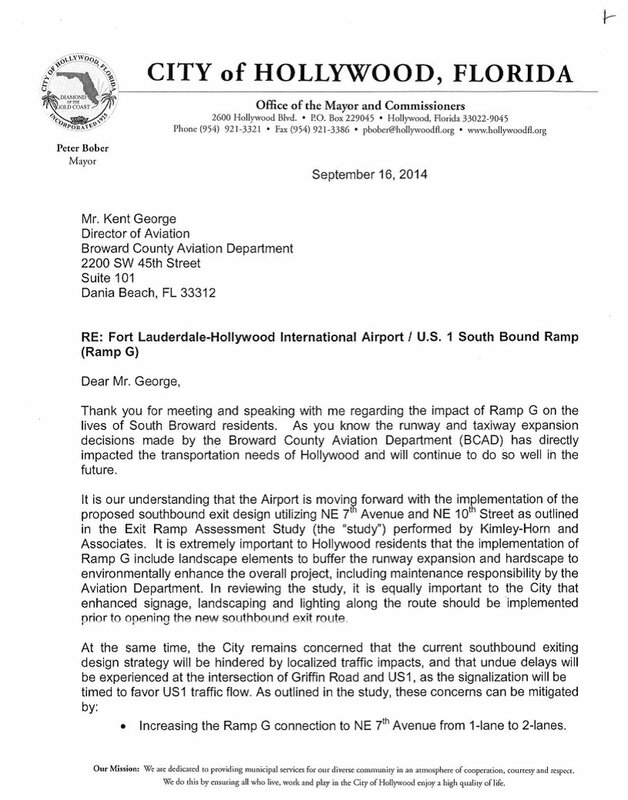 The Hollywood Beach Civic Association (HBCA) has been following very closely the issues related to the Airport South Ramp towards Hollywood. We have attended City and County meetings as well as town halls and presentations from the authorities involved in this matter. 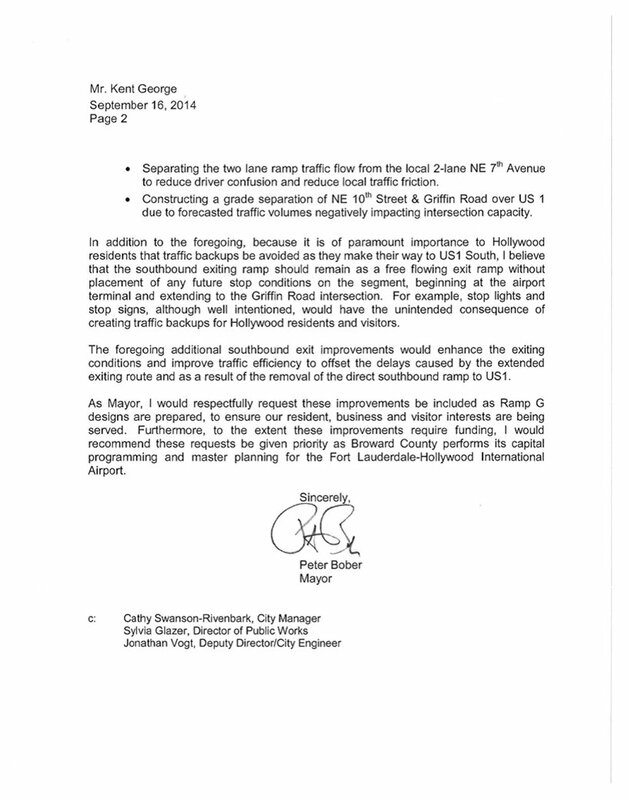 The present solution will take arriving visitors to Hollywood Beach via NE 7th Ave., NE 10 St. and ending at Griffin Rd. and US 1. We believe, at the very minimum, that proper lighting, professional landscaping, clear signage and continuing monitoring of traffic flow must be an integral and essential part of this solution. This should ease somewhat the negative impact that arriving by back road will have on passengers.